6th edition of the Latin American Intercultural Encounter that year after year presents dances and traditional music from Latin countries. 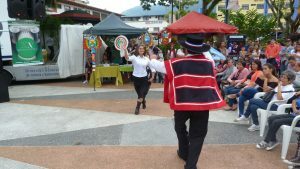 This time participants danced to the Colombian cumbia, the Argentine Tango, the Brazilian Carimbó, the Venezuelan joropo, the son Cubano and the Chilean Cueca. As for music, there were songs in the genres of golpe tocuyano, Bossanova and cumbia among others. 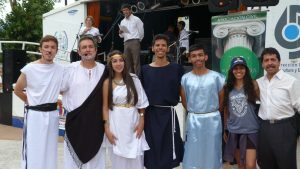 Volunteers from the New Acropolis Merida and New Acropolis San Cristobal centers organized the event, and they also staged the work “The Three Filters” by Socrates. The Andean Dances group and the singer Nazz performed at the event. Finally, the guest singer along with the musicians of both ensembles performed the work “Be the Change”, composed by Jesús Rodríguez (Director of the musical ensemble of New Acropolis Merida).